How Can I Go Fun In The Sun Boat Rentals? Where is Fun In The Sun Boat Rentals in Stock Island on the Map? Rented a boat from these guys and it exceeded all other previous rental experiences! 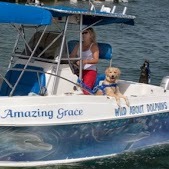 The boat was in great shape and setup the way an experienced boater would want it. Their equipment was not junk like a lot of other companies. They were very helpful and knowledgeable of the area. The prices were better than anywhere else i could find, and the boats were nicer.They are located at the Yacht Club, which is a gorgeous marina. Definitely cant go wrong renting a boat from them! If you're going to Key West, you HAVE to have a day on the water. That's the only way to truly experience all of the Islands and their beauty. We chose a guided tour so that we could really relax and enjoy the ride. Raymond was extremely helpful and also very knowledgeable about the islands. Because he's a local, he was able to show us special spots that only the locals are aware of. We had such a great time and are looking forward to the next. This is a great locally owned and operated business and we will definitely be using their services in the future. Could not have been more satisfied. 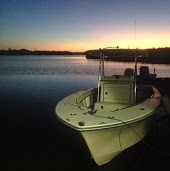 Rented a boat that ran great, everything was ready when promised as promised, returning the boat was just as easy. Thanks again Fun In The Sun! Will absolutely rent from them again. One of the most amazing experiences, made easy by Raymond Mellies (the owner). He is very professional, and knows everything about the boats and water. Highly recommended!